Water: Forge Creek 100 yds. CS 12 is barely more than a wide place in the trail. The fire ring is about 15 feet off the trail. The site is highly visible. The impact is moderate to high. There are two main camping areas with fire rings. The upper area is a little less impacted and more conducive to tarps with better draining tent sites. There is no evidence of privy activity nearby. Water is in ample supply nearby from Forge Creek. 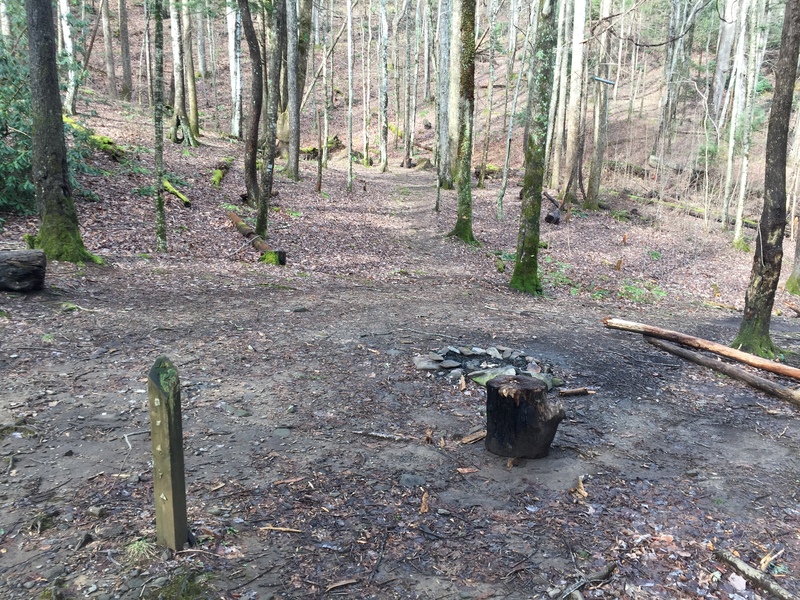 This entry was posted in Campsites and tagged Campsite 12 on December 27, 2015 by blogginggazelle.